pleased to report strong performance throughout the first year of partnership. Click HERE for pdf version of 2018 highlights. Launch of new website, railnola.com, complete with: GIS map of the system, historic timeline, rate calculator, and community engagement section. 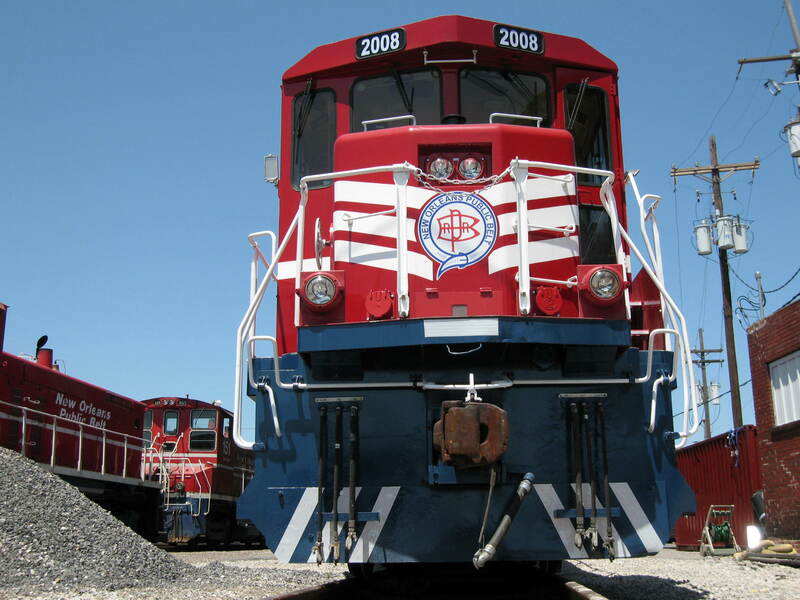 New weekly intermodal service to Dallas/Fort Worth. 49.5% increase in interline business. 14.5% increase in intermodal business. 6 direct connections to Class I railroads. 10 radio controlled switches installed. 5 new AEI (railcar tag) readers installed. Ground air hoses installed at key community crossings (including the Fly and Children’s Hospital) to reduce blockages. Federal grant application submitted to mitigate congestion in the Bywater neighborhood. Camera system installation across the Gateway with Class I partners completed. Development of capital plan for maintenance needs. Dedicated External Affairs specialist hired. Over 25 community open houses and meetings hosted. Complaint hotline calls down 73% from 2017. Children’s rail safety program launched. “Good Neighbor” internal crew training conducted. Awarded the Clean Fleet Leader award for the sixth consecutive year. NOPB replaced the equivalent of 538,994 gallons of gasoline through energy savings technologies in our fleet. Applied and awarded EPA funding for the retrofit of an engine to Tier 4+ (low emissions) standards. In 2018 internal team had over 3,900 hours of training. Finished 2018 with a 1.8 frequency index, far below the 2017 national shortline average of 2.4 with only 2 reportable injuries for the year. Development of a rail gateway severe weather plan with Class I partners, complete with interactive GIS floodgate status map. Intermodal- A flexible way of transporting freight over water, highway and rail without being removed from the original transportation equipment, namely a container or trailer. Interline- Traffic that moves between two or more carriers. Urban Rail Initiative- NOPB’s community outreach and operations program, launched in 2018. Find out more about the program in the Community section of the website.